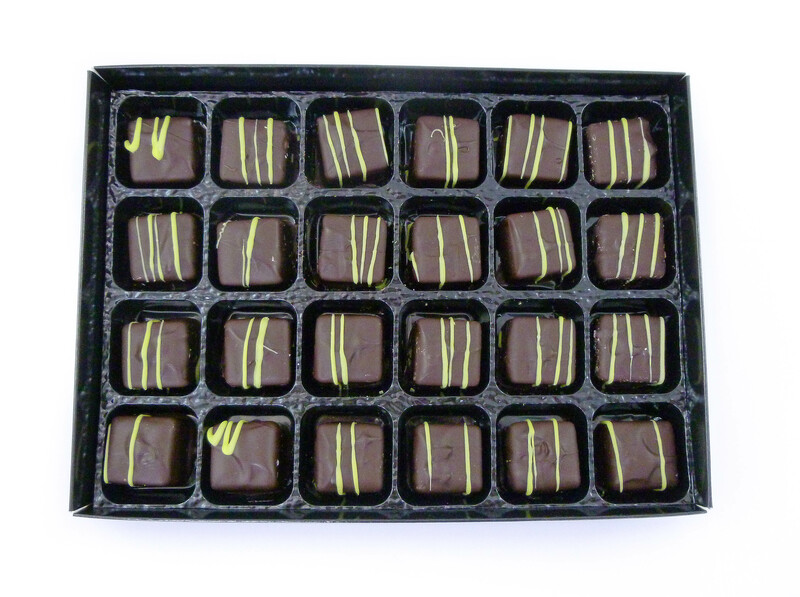 Our Mint Creams are the perfect after dinner mints treat! 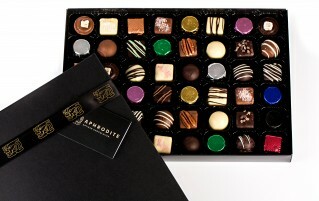 We have taken that old nostalgic favourite and given it our own Aphrodite Artisan twist! We’ve paired our signature blend, 75% cacao, dark chocolate with mint extract and heavy cream to create the sublime chocolate ganache centre of our Mint Creams. 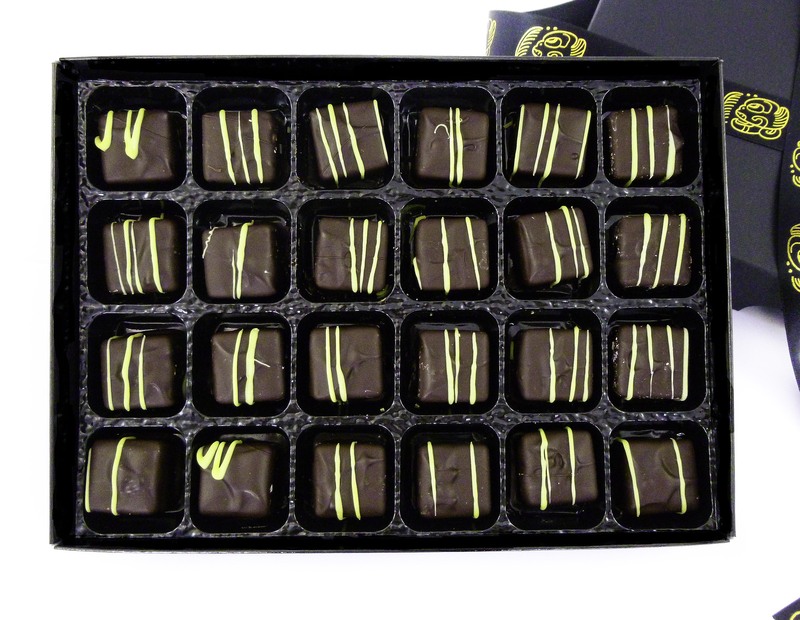 Each chocolate is hand dipped in our 75% cacao, dark chocolate and decorated with mint chocolate stripes. 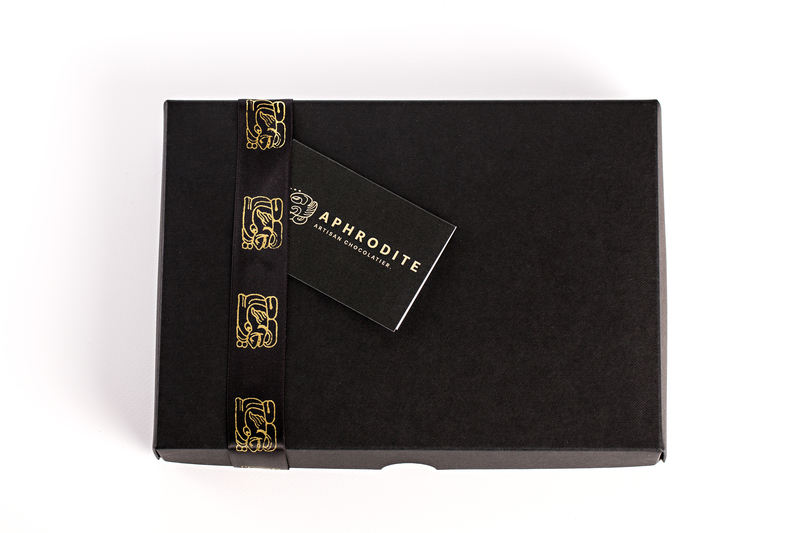 Our after dinner Mints are presented in our signature black gift box decorated with bespoke Aphrodite ribbon, and make the perfect luxury handmade chocolate gift for all you foodies out there! Buy for that special dinner party, for Christmas dinner or just treat yourself…..
Despatch: Place your order before 3pm Mon – Fri*, we will make every effort to send it the same day. FREE Delivery: Not a guaranteed service, usually delivers within 48 hours including Saturdays* but can take longer. Please note, we cannot deliver on Sundays. 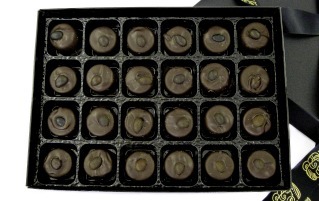 Next Day delivery available, please select at checkout.